An realtor is a member of the National Association of Realtors. Therefore, while an agent is always a real estate agent, a real estate agent isn’t always an agent. You may feel the urge to pick the first real estate agent who strikes you, but that’s something one should never do. The “Wow Factor” will simply wear off within a few minutes, even seconds. Learning the type of market presence that a real estate agent has is the best way to figure them out. 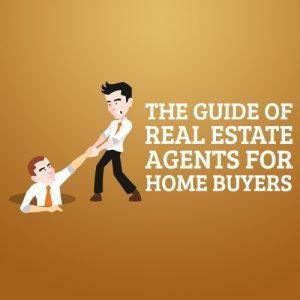 Ideally, you’re going to want an agent who has been in the business for at least 5 years, specializes in one or two real estate markets, and one who understands a particular price range. You can unearth this information by asking them, or by asking the state licensing authority if you’re not comfortable with asking the agent directly. Keep in mind that you’re better off with an agent who is engaged actively in one particular area and price range. For example, residential homes around the $100,000 range. If you’re buying a home and you’re going to need a buyer’s agent. These real estate agents will work day and night, as long as you listen to the advice listed above and find the best one for you, to ensure that all of your needs and requirements are met when it comes to finding the right home for you. For example, if you are selling your home, and you do not want an agent to be working with the buyer, it’s your right to say so in the listing agreement. This is also true for the buyers. A buyer can get out of a buyer’s agency agreement, but only if their agent has a listing in which the buyer is interested in.